oh longhorns. i love you, but it’s not even nearly close to how much i love chocolate cake. in college, to satisfy my late night chocolate cravings, i would drive to HEB at 10:45 at night to buy an entire cake from their bakery and a quart of 2% milk to wash it down with. fast forward to today, when my co-workers and i make our weekly central market grocery shopping run, right after we stuff our stomachs with sample bread in the bakery, i know that the dessert section is right around the corner. each week, i stand in front of that open fridge for at least 3 minutes while my co-workers keep walking. it seriously is such a hard internal debate whether i go for the entire cake, one slice of cake, or none at all. 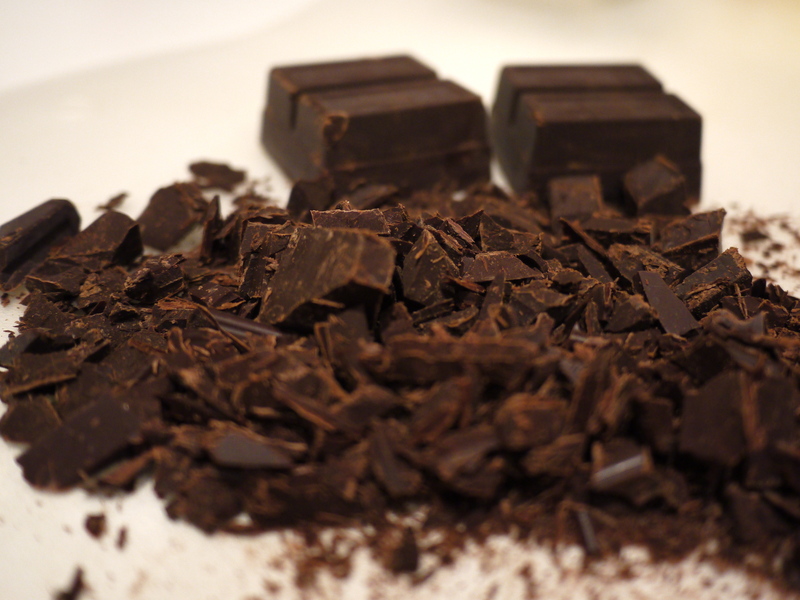 this week, i had a huge chocolate craving and a huge cooking itch. bad combo. 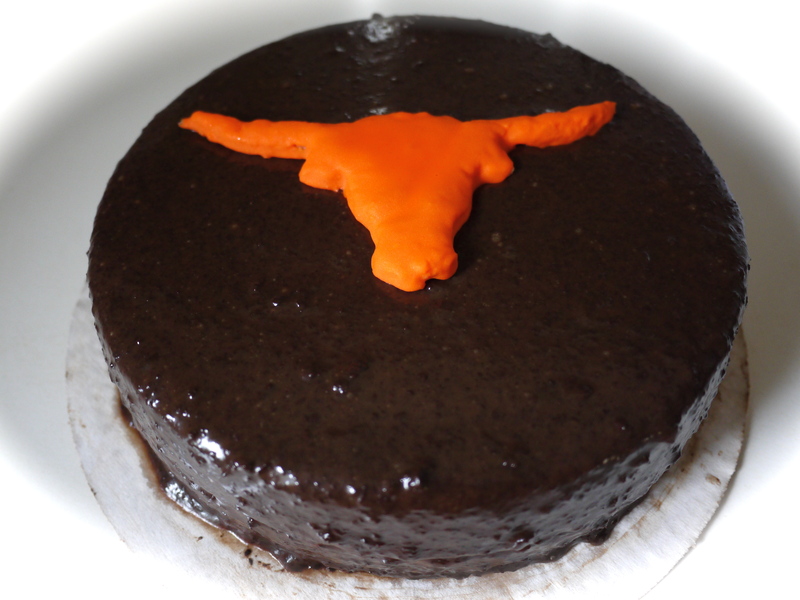 luckily, the UT vs. OU game was this past weekend and i knew if i baked my favorite chocolate cake recipe, i wouldn’t have to eat it all myself and feel guilty afterwards – i’d at least have friends to share with! Frosting: In a small saucepan, combine the sugar and cream and bring to a boil over medium heat, stirring occasionally. Reduce the heat and simmer for 6 minutes. Add the chopped chocolate and butter and stir until melted. Pour into a bowl and stir in the vanilla. Let the frosting cool, whisking gently from time to time. When cooled, the consistency should be like mayonnaise. Cake: Lightly spray two 9-inch round cake bans with non-stick spray. 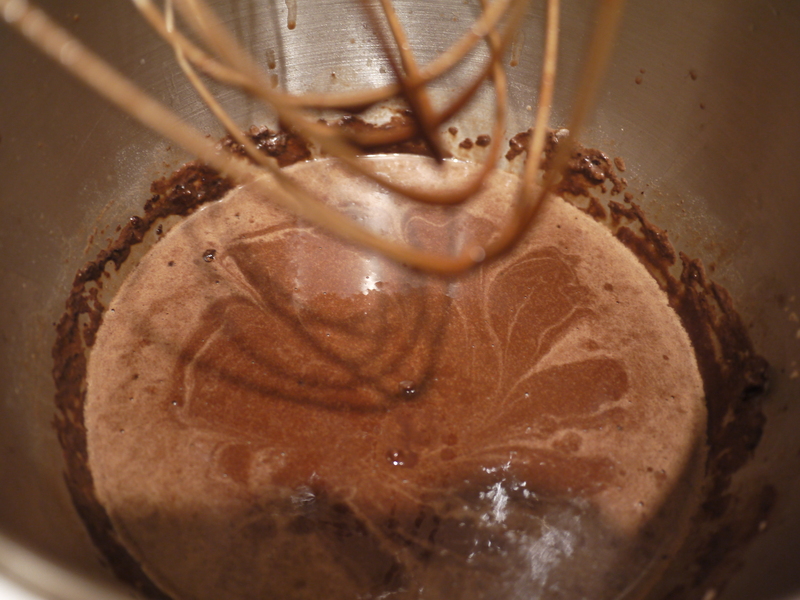 Combine sugar, flour, cocoa, salt, baking powder, and baking soda and mix on low speed in stand mixer bowl. Mix in the eggs, oil, and milk. Increase the speed to medium and beat for 2 minutes. Reduce the speed to low and mix in the boiling water. The batter will be soupy. Divide the batter evenly between the cake pans. Bake for 30 to 35 minutes. Remove from the oven and cool on a cooling rack for 5 minutes, then turn the layers out onto the rack and cool completely. 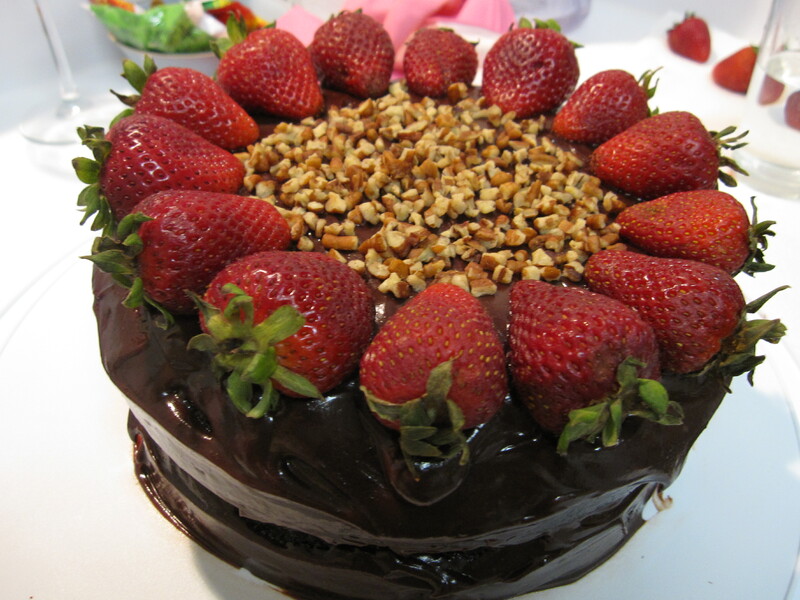 Use a sharp serrated knife to make the cakes even. For the inside frosting, I used some leftover whipped cream (1 cup whipping cream, 1 tablespoon of vanilla extract, 1/2 cup of powdered sugar – mix on high until cream forms). 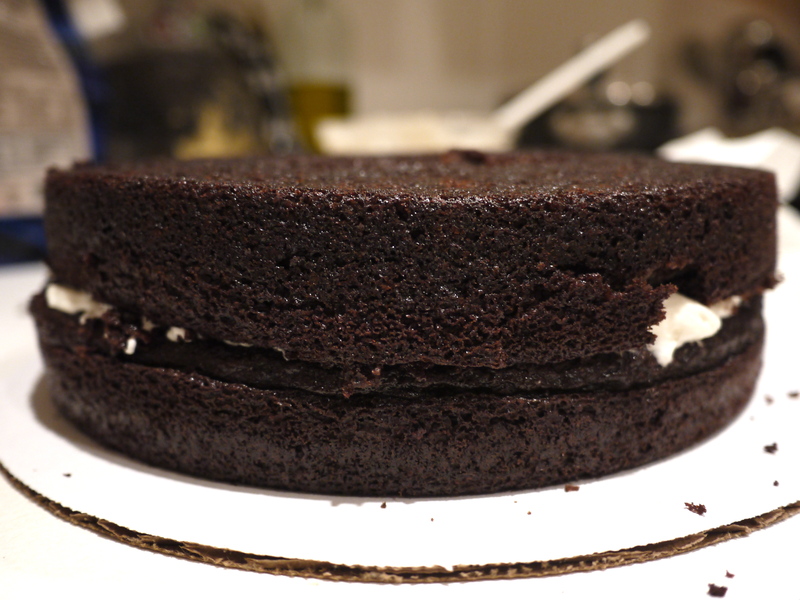 Once the frosting is cooled, spread the frosting with an icing spatula and frost the top and sides of cake. Different version of the same cake, but the last one is the prettiest and best. Took a longhorn cookie cutter, made sugar cookies, and decorated with orange frosting.